The youth led transformation of Thunder Bay’s Picton Park will be showcased on a TVO program scheduled to air this week. The project was a joint effort by Sinking Ship Entertainment, the City’s Parks Division, the Picton, Blucher, Windsor Community Action Group, The Boys and Girls Club, and neighbourhood residents. 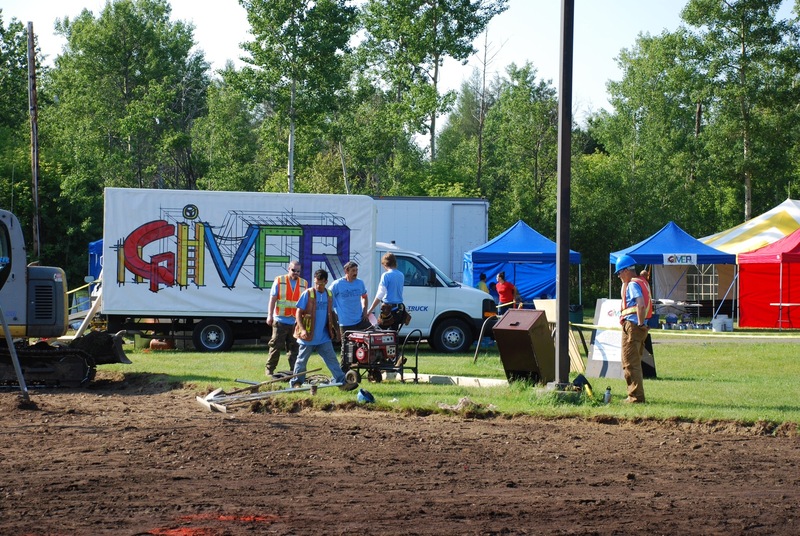 A television crew from the TVO show Giver documented the design and construction of a new playground at Picton Park during a visit to Thunder Bay last summer. Six local youth age six to 12 who live near the park helped design the playground, which was then constructed by a crew of local volunteers assisted by contractors and the six youths. Giver won the 2013 Youth Media Alliance Award of Excellence for “Best Television Program, All Genres, Ages 6-8.” In addition, the show was nominated for “Best Children’s or Youth Non-Fiction Program or Series” at the 2013 Canadian Screen Awards.